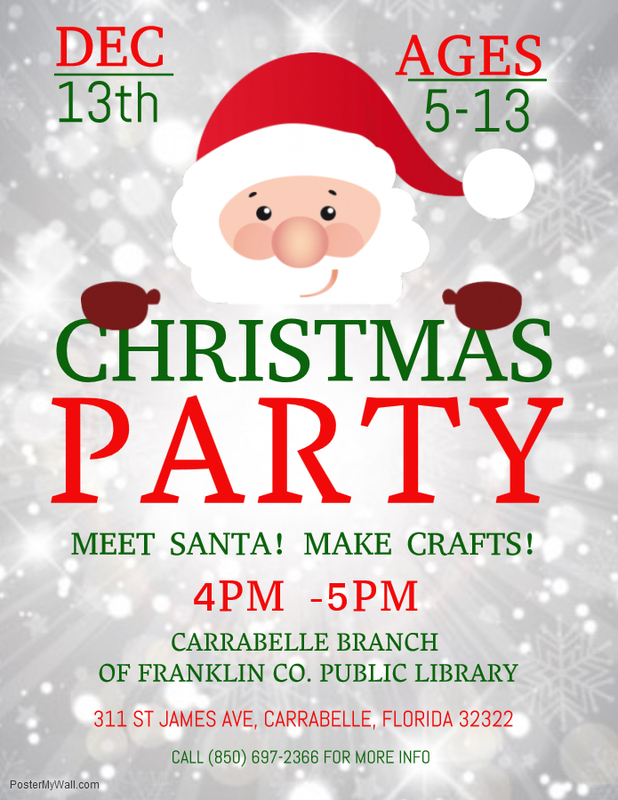 Christmas Party for Kids Santa will be at the Carrabelle branch of Franklin Co. Public Library with treats on Wednesday, December 13th, 2017 from 4:00-5:00 for kids ages 5-13. Christmas crafts will be made and taken home! 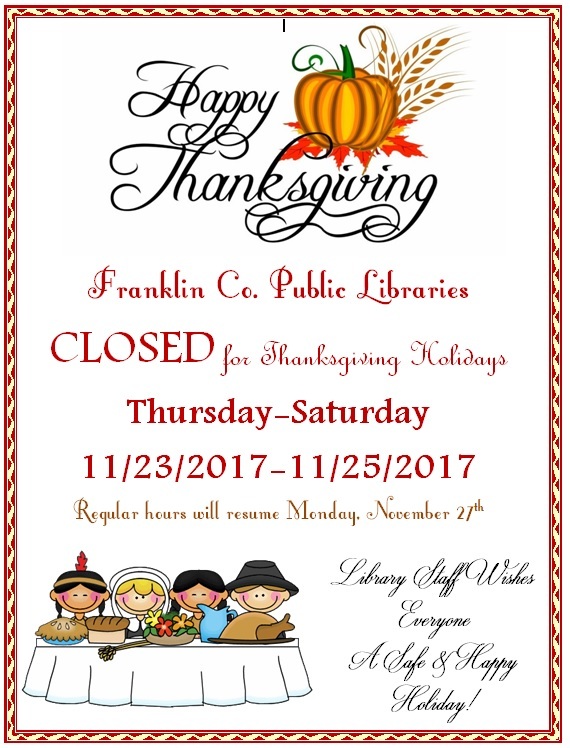 Franklin Co. Public Libraries, Eastpoint and Carrabelle branch will close for Thanksgiving holiday. Thursday, November 23rd Friday, November 24th Saturday, November 25th Both libraries will re-open Monday, November 27th for normal business hours. 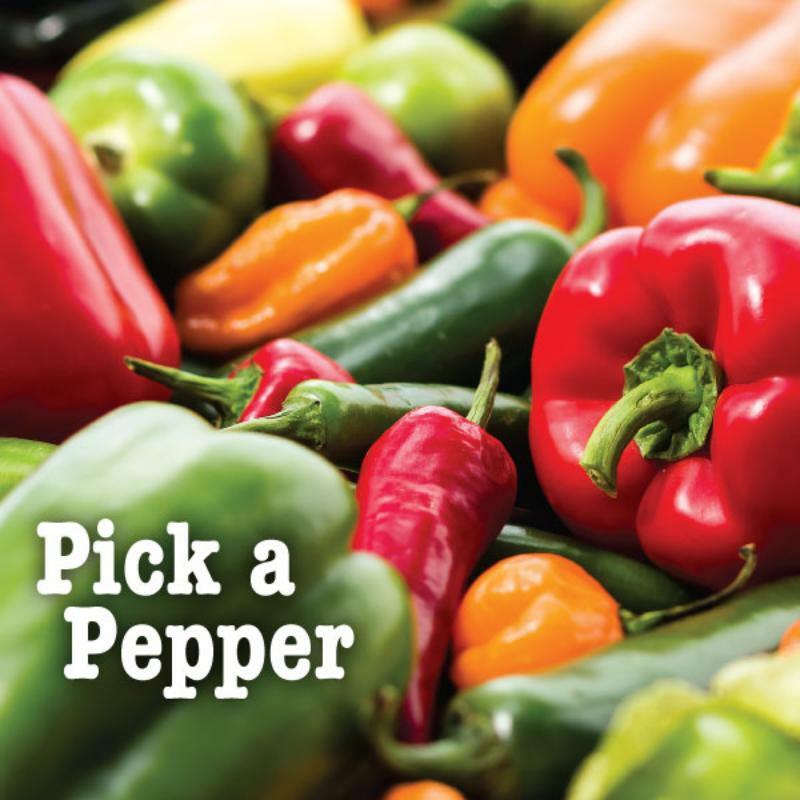 Library staff wishes everyone a safe and happy Thanksgiving!